One of the most heartbreaking news stories of 2018 is the Trump administration’s decision to separate undocumented immigrant families that enter the United States.The AFL-CIO, the AFT and other advocates for working people have condemned this policy and called for families to be reunited. As part of this effort, the AFT has issued a new report to inform pension trustees and the working people they represent about companies that are profiting off of family separation and mass incarceration. CoreCivic: Formerly known as Corrections Corporation of America, the nation’s largest private prison company owns and operates eight immigration detention centers. GEO Group: A company that operates private prisons and operates family detention centers. General Dynamics: A top defense contractor, the company provides case management services at youth detention centers. These companies may hold direct shares in the companies that profit from the policy, or they may have indirect investments in those companies through index, private equity or hedge funds. 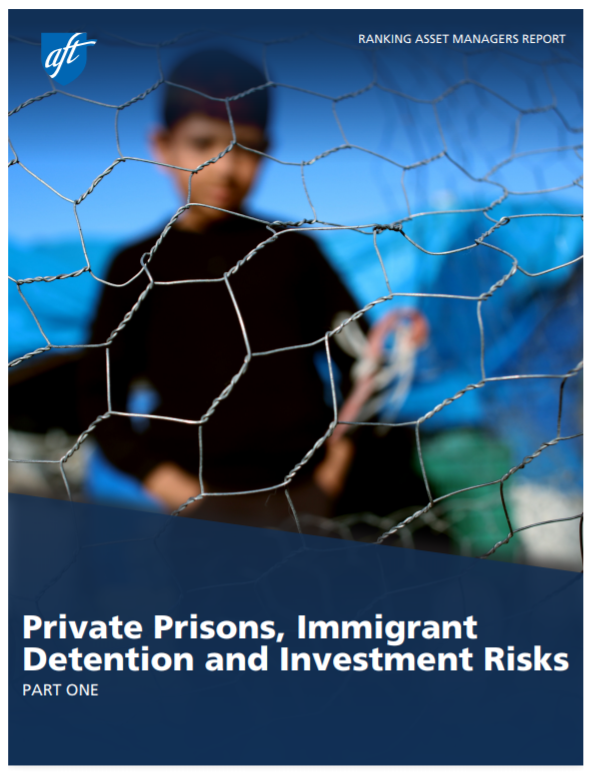 AFT will issue a follow-up report that identifies individual investment managers who profit from private prisons and the mass incarceration of people of color. This entry was posted on Tuesday, August 21st, 2018 at 6:58 pm	and is filed under Blog. You can follow any responses to this entry through the RSS 2.0 feed. Both comments and pings are currently closed.